‘Tis the season for citrus and spice, for warm breakfasts enjoyed with tea by the light of the (admittedly early) Christmas tree. I don’t know about you, but I look forward to this time of year. The food, the people, the atmosphere. Jeth has this week off of class for Thanksgiving break, and even though there’s still homework and work- work to be done, we are taking the days slow. 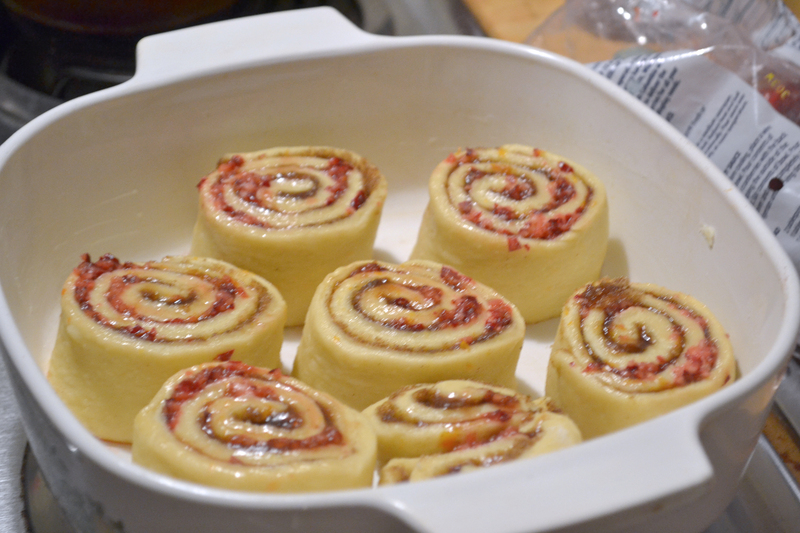 We started this morning off with tea and spiced cranberry-orange rolls, warm from the oven. The best part was, I just had to get out of bed and put them in the oven. No flour to mix or dishes to wash early in the morning before work. Refrigerator-rising dough might be my new favorite thing. I borrowed and adapted (only a very little) this recipe from Smitten Kitchen. If you haven’t checked out this blog, do yourself a favor and take a look. I haven’t had one of her recipes disappoint me yet. 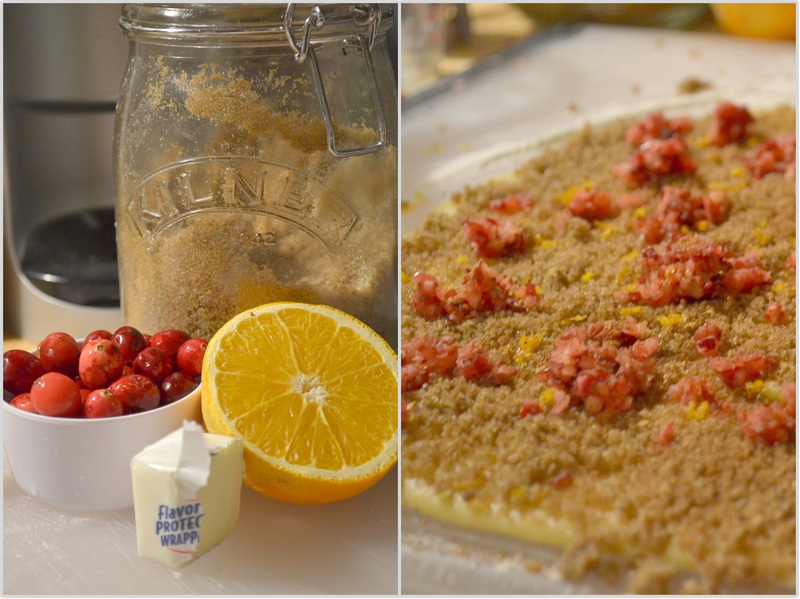 I tweaked the filling ingredients so they’re a little less sweet and more cranberry-y than the original. I’ve also spiced the recipe up with some winter spices: cinnamon, ginger, and cloves. The breakfast buns are tasty without them, too, if that’s not your style. This recipe makes 12, so I’ve been halving it, for 6 rolls and 2 end pieces that you can squidge together for a makeshift 7th. Whisk the yolks, whole egg, sugar, butter, buttermilk and 3/4 of the orange zest together (saving the rest for the filling). Add 2 cups of the flour along with the yeast and salt; stir until evenly moistened. Add the remaining flour and stir for a couple minutes, until it the dough comes together. (The dough is pretty sticky, so this is a great time to use a dough hook if you’ve got one). Whatever you do, resist the urge to add more flour – this soft dough bakes up exceptionally tender. Turn the dough out and knead for for about 5 minutes, until dough is soft but no longer sticky. 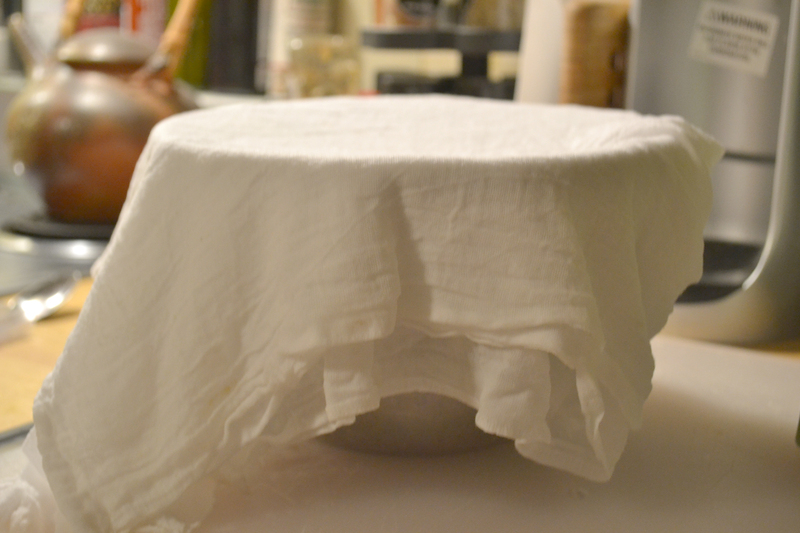 Scrape the dough into a large, lightly oiled bowl and cover it with plastic wrap or a damp towel. Let dough rise at room temperature until doubled, which will take between 2 and 2 1/2 hours. For the filling: Melt the butter and set it aside. Food process or very finely mince the whole cranberries until they’re ground to a coarse rubble, but not fully pureed. Assemble the buns: Butter a 9×13-inch baking dish (glass or ceramic). If you are doing a half recipe, an 8×8 square or 8/9″ round dish would work. Turn the risen dough out onto a floured work surface and roll it into a rectangle that is 18 inches wide (the side nearest to you) and 12 or so inches long. It’s okay if it’s a little longer – it just makes for more spirals in the buns. Brush the dough with the melted butter. Sprinkle it with the brown sugar. Scatter the ground cranberries over it, then the spices and the remaining zest. Roll the dough into a tight, 18-inch long spiral. Using a sharp knife, very gently cut the roll into 1.5-inch sections; you should get 12. Arrange the buns evenly spread out in your baking dish. They won’t touch, but don’t worry about it. I’ve been smushing the end pieces together and putting them in the pan too, just to take up space. It keeps the other buns from having their sides exposed, which keeps them softer. Cover with plastic wrap or a damp towel and refrigerate overnight, or up to 16 hours. In them morning: Take your buns out of the fridge 30 minutes before you’d like to bake them, to allow them to warm up slightly. While they come to room temperature, preheat the oven to 350 degrees F and go back to bed for half an hour. Bake the buns until they’re puffed and golden 25- 30 minutes. Once the buns come out of the oven, let them cool for a few minutes. Whisk the orange juice and powdered sugar together to make the glaze, and pour it over the pan of buns. They really should be served warm, although the leftovers are good as a mid-morning snack a few hours later, too. Tags: autumn, baking, bread, breakfast, recipe, winter. Bookmark the permalink.